Slotwings puts on sale from this week a new myth in the history of motorsports. 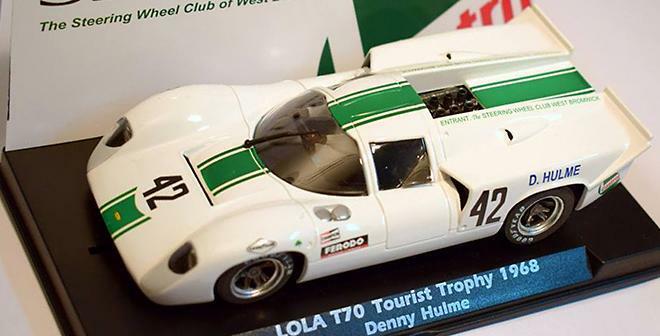 The Sid Taylor Racing Team Lola T70 Mk3, with which the Zealander driver Denny Hulme won his third RAC International Tourist Trophy race held at Oulton Park in June 1968. Hulme, who had just crowned F1 World Champion, won ahead the Ferrari 412 shared by D.Piper and R.Attwood. This new Slotwings model at 1:32 scale for slot (W004-01) belongs to the Racing Team Collection.